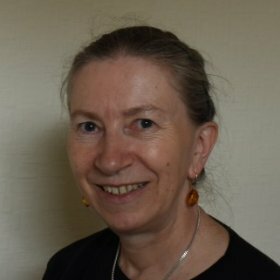 For over 13 years I was the owner of a quilt shop near London called Green Mountain Quilts. 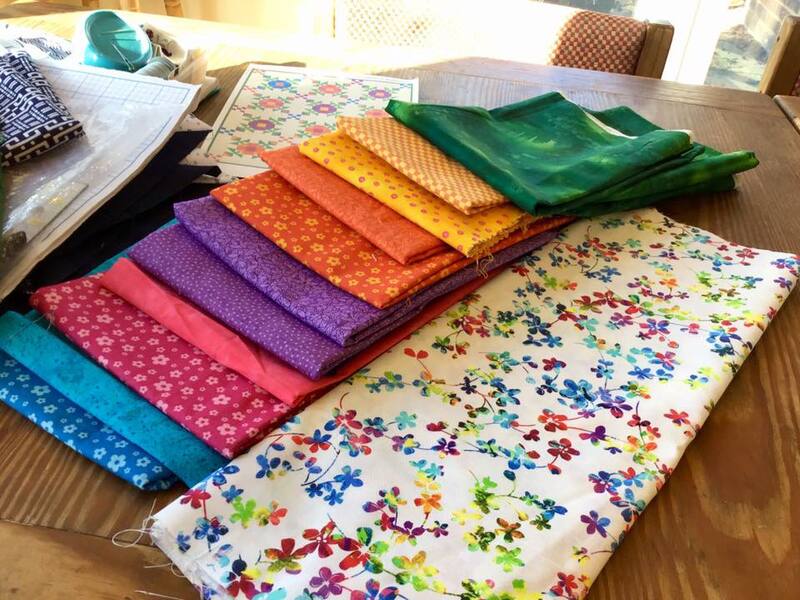 A lot of my days in the shop were spent helping people to select the fabrics to make their quilts. While looking at the fabric selections I would often urge them to consider the relative values, light to dark, of the fabrics in relation to each other. 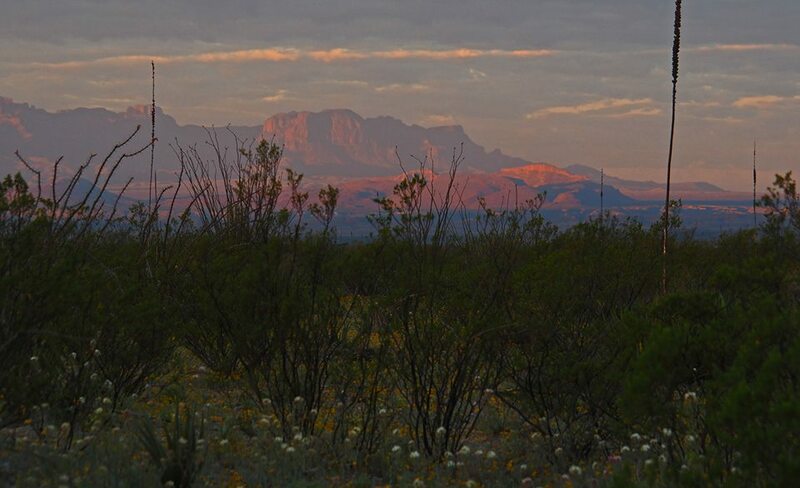 Note that the plants in the foreground of the photo (therefore closest to us) are darkest in value, while the rest of the mountains in the background fade away the closer they get to the horizon. As cavemen and women we would have noticed darker objects first because they were the closest to us, and therefore represented a potential danger. We are still programmed that way today. 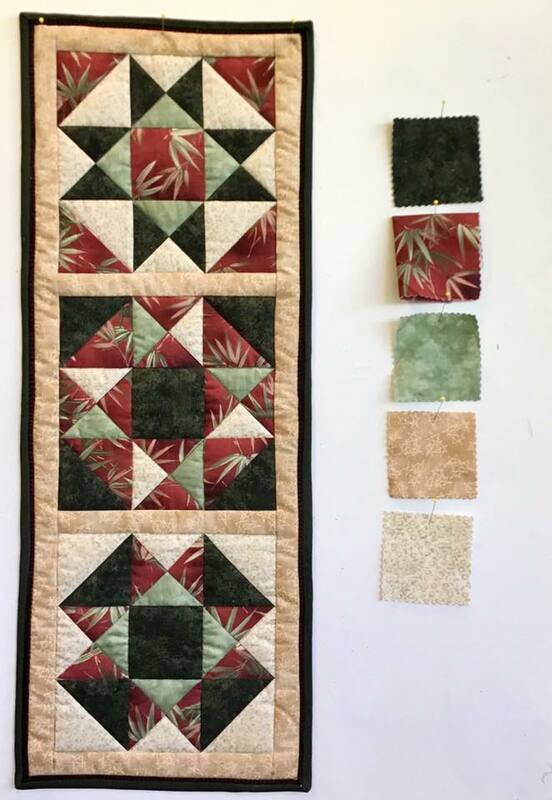 So as a quilter, if you want to emphasize a certain area of your work ,like the points in the Ohio Star block, that it where you should use your darkest fabric, because it will be noticed and will define the pattern. 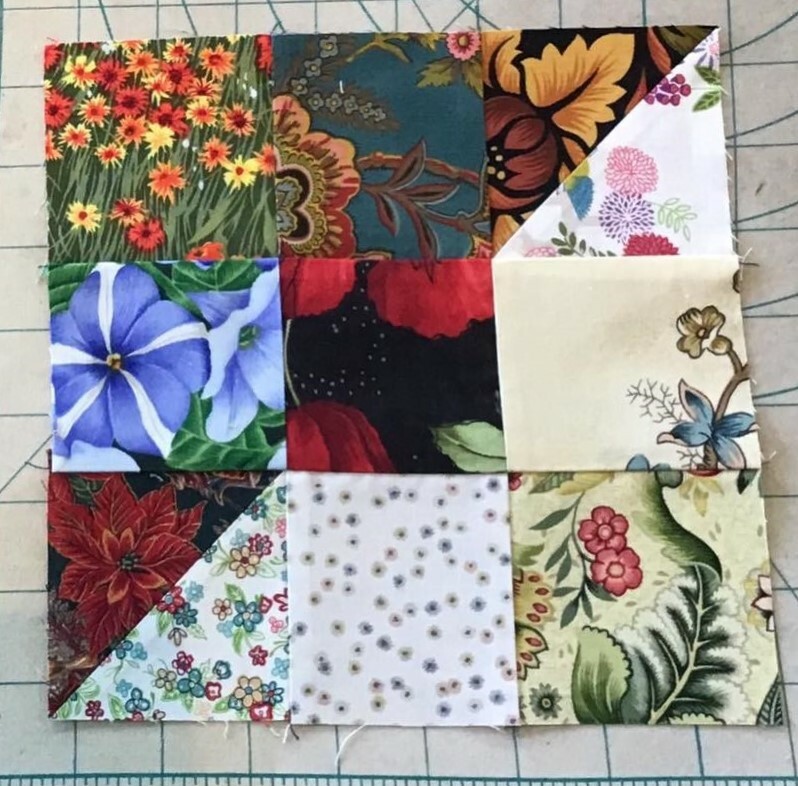 I wanted the white floral and yellows as my light value fabrics, the dark green as the dark value fabric, and the other fabrics as medium value fabrics which contrasted with all to make the flowers. In the first selection notice that I initially auditioned a darker purple fabric which would have overpowered the pattern. 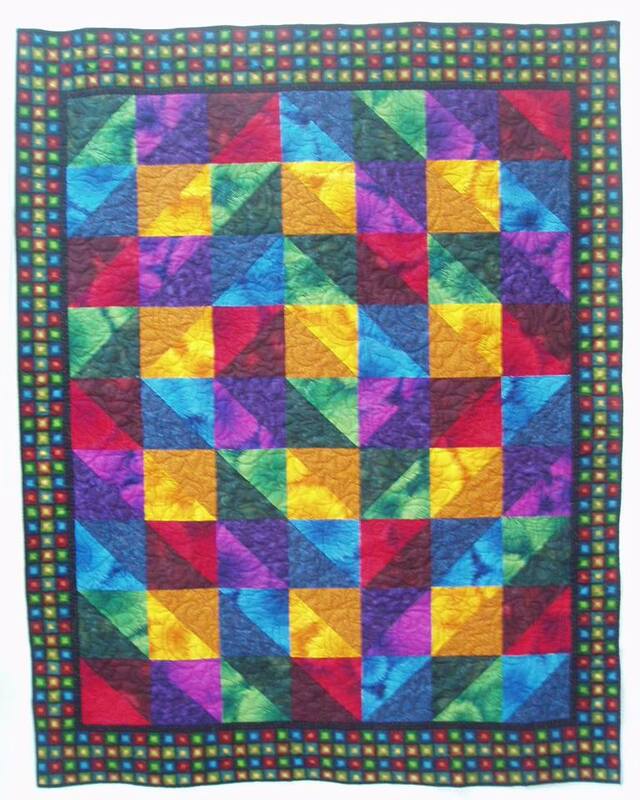 In the second selection I’ve substituted a lighter choice, which I ultimately used in the quilt. If I had used the darker purple the flowers would look more cross like. 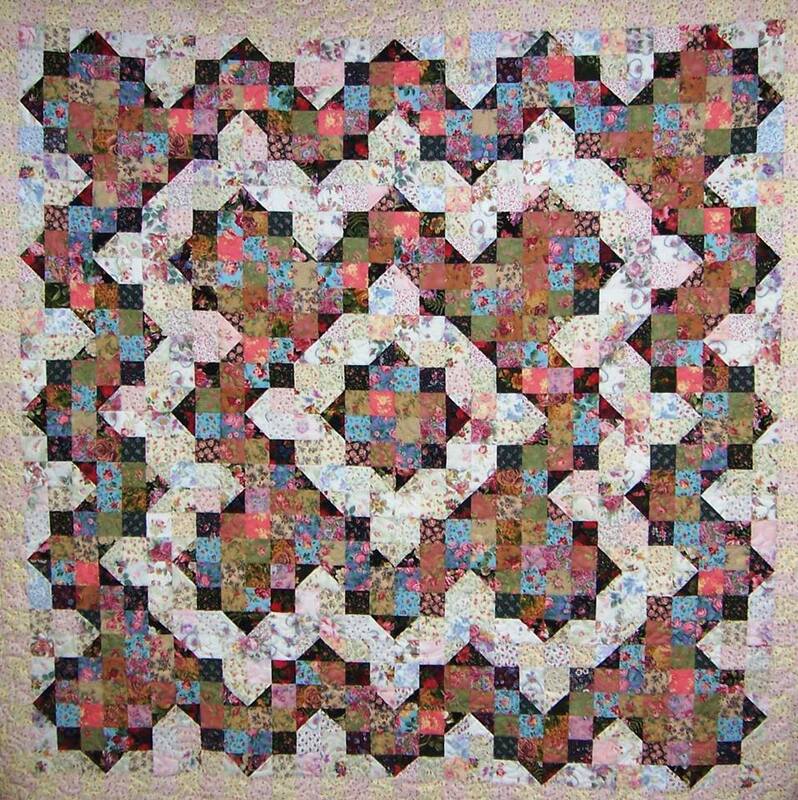 You can see from the block that the dark values of the floral fabrics used have been placed in the centre of the block and the dark side of the half-square triangles, the medium values in the three squares on the dark side of the block, and the light values in the three squares and making up the light side in those two dark/light half-square triangles. So what do you think? Ready to start playing yet? This is me: Christine – Quilting at Westdene VIEWS FROM MY SELVEDGE by MARJORIE COOK Success with Stripes – part 1 Bags, Bunnies and Eggs for Easter! Lovely ways of illustrating the points. 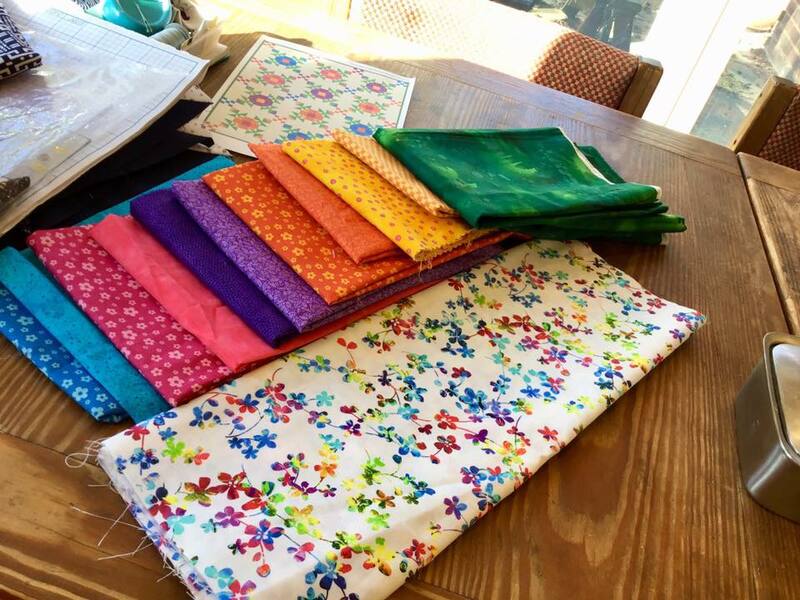 I hear from quilt shop workers that quilters tend to make a beeline for the medium value fabrics, and not use enough of the darks and lights, or the neutrals, so it’s good to be aware of that tendency. Tips I’ve heard include taking a photo of the fabrics and changing it to greyscale in an image editor, so that you can see the values better. I’ve never actually got around to that, but I find that taking a photo helps a lot on its own. You get a different perspective, and it frames it. Plus you can share it online and ask people’s opinions, of course. If you have a design wall, pinning the fabrics up (they tend to need a pin when you’re putting up a larger amount, especially if you’ve had to fold it up smaller) really helps. So much of this is about learning to look at it differently. 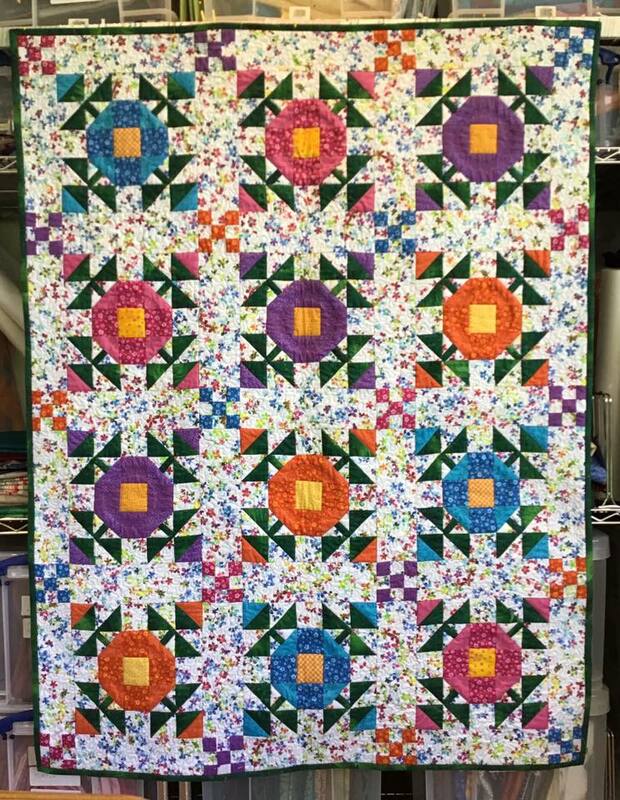 This article explains clearly, briefly, and with visual examples exactly what quilters strive to achieve. So often I hear people say, “ I don’t like that fabric”, but this shows that every fabric has a place: the skill is finding it. Thank you-I found it very helpful indeed.